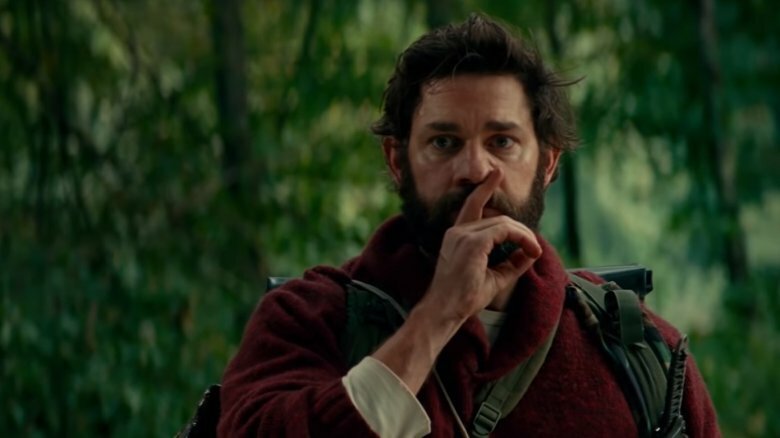 A Quiet Place was a risky movie to make. Putting an established TV actor on the big screen is always a gamble, and expecting the audience to take that comedy actor seriously as the lead in a horror movie is doubling down hard. But, much to Paramount's delight, the gambit paid off. 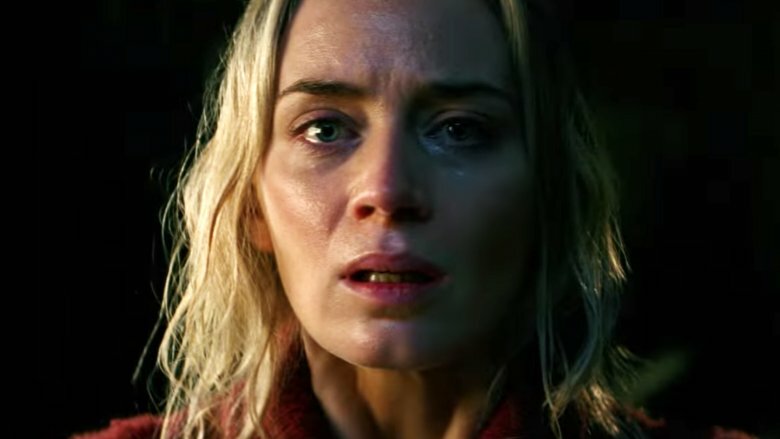 A Quiet Place was both commercially and critically successful, enough so that a sequel has already been announced and slated for 2020. The movie shines as a testament to original storytelling, beautifully portraying its central themes of loss, grief, and pot-shotting an Oscar for sound design. 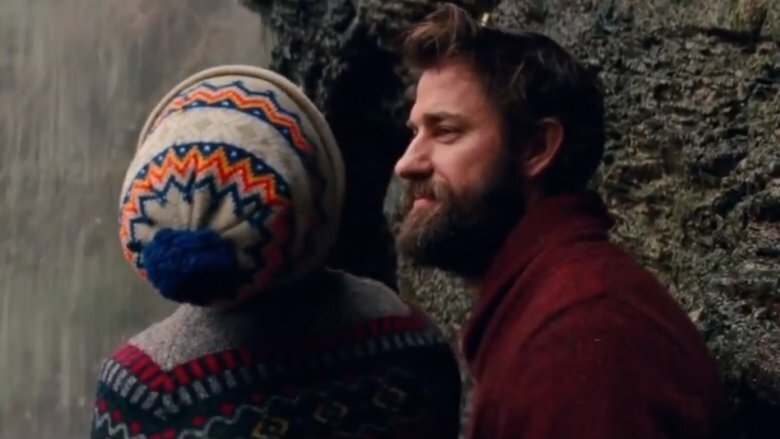 As amazing as it is, though, A Quiet Place has more than a few plot holes and inconsistencies. Seen in the theater, they could be easy to overlook, since the movie is totally engrossing and scarier than a bar full of patrons who don't wash their hands when they use the bathroom. Now that it's had some time to sit, though (and now that we're all done sitting shivah for the kid from the beginning) it's become a little bit easier to pick apart. The Abbott family (that's their name, check out the mailbox) has a pretty cushy crash pad back on the farm. With electricity, near infinite corn, and all the charmingly cobbled together Monopoly they could ask for, it's easy to see why they'd want to spend as much time as possible in their post-apocalyptic slice of domestic heaven. Still, man does not live on (seriously, so much) corn alone, and at times, the family has to wander out in search of supplies. Doing so is clearly a harrowing task. You know what was probably a lot more harrowing? Making a sand trail that stretches from the farm to, well, basically everywhere. The stuff goes for apparently miles. 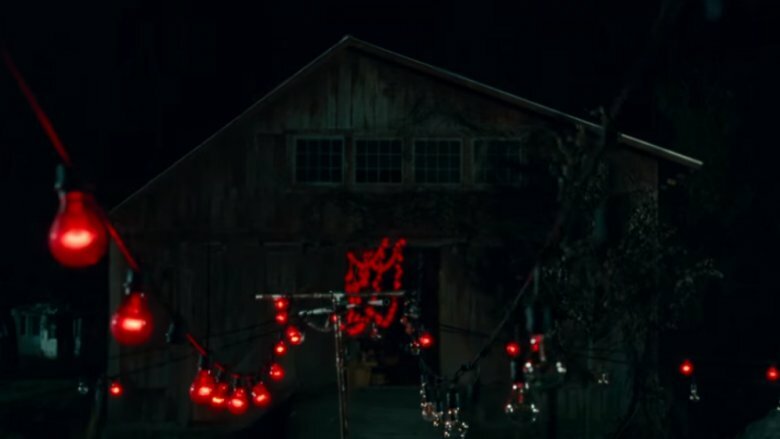 It's what they're walking on in the city during the opening scene, and it seems to continue all the way back to the farm. So where did they get that much sand? And how did they move it silently from one place to the other? And how do they maintain the trail that they built, since sand has a way of has a way of blowing away the second a light breeze blows in? John Krasinski and Emily Blunt are a bonafide power couple on and off screen. In A Quiet Place, they somehow managed to maintain a farm, raise a family, design a soundproof infant cellar, manage their blood pressure, modify cochlear implants, and have family dinners where nobody shouted at each other. Any one of those things would've been impressive before the end of the world, but doing all of them without video games or Netflix to unwind with at the end of the day is just shy of unbelievable. Even with all those achievements, there's still one hole in their education that's difficult to ignore. We're speaking, of course, about family planning. Listen up, Krasinski. If you can figure out how to power a whole farm and create machines that allow the deaf to hear, you can figure out contraception. Who brings a baby into a world where it'll get eaten the second it burps too loud? So you've just woken up and it's the end of the world. That's going to be a bummer for a lot of people. Still, there'll never be a line at 7-Eleven and Grey's Anatomy will finally get canceled, so it's not all bad news. And here's the really great part: Real estate is going to open up fast! We're talking super fast. So fast, in fact, that you could probably live just about anywhere you want. That house in town you always dreamed of? That could be yours. Want a whole cathedral to yourself? Live your dream, you gothic weirdo. Heck, if you wanted to, you could even live somewhere as exotic and unobtainable as, say, the beach! The beach is great for so many reasons. It's full of delicious fish, and even more full of less delicious water. Crashing, cacophonous water, which confuses the monsters and makes them unable to hear you. Remember? Like in the waterfall scene? The one where Halpert pranks his kid into thinking they're going to die needlessly by screaming without warning and not explaining the situation ahead of time? Anyway. The point is, go find some nice waterfront property. Or keep living in a hole under a mattress if that sounds more luxurious. John Krasinski, aka Lee Abbott, knows two things in this movie: being an electrician and keeping his family safe. He repeatedly showcases his enviable skill sets, maintaining the family compound and wiring up a command center in the basement. The guy is a genius survivalist. Emily Blunt's Evelyn is no rube, either. She coaches herself through childbirth. She's a crack shot with a Browning. She's teaching her kids math and poetry all while providing for the family. Together, they're a less unsettling version of an episode of Doomsday Preppers. With all their expertise and crisis readiness, it makes you wonder why they only had one contingency plan for drawing the monsters away from the house in case of an emergency. By way of example: If they had the tech and the smarts to set up CCTV cameras around the farm, how hard would it have been to wire up a couple speakers to make noises successively farther away? The kind you could turn on from Lee's Batcave, along with the red lights to alert humans? Seems like a pretty big hole in the defenses of America's most attractive end-of-days survivors. Every movie villain has a weakness, and a lot of the time, it winds up being the most groan-inducing thing about them. The Mummy doesn't like cats. Freddy Krueger's Achilles heel is not dozing off. It's an embarrassing trope, but hey, we get it. Third acts are hard to write, and nobody wants to watch a Hobbit movie where killing the dragon is too tough so everybody gives up and goes home. 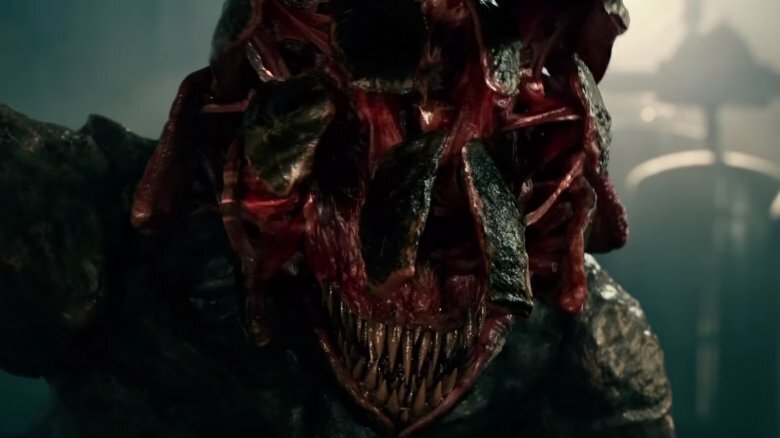 The big problem with the monsters from A Quiet Place is one of their vulnerabilities is weaponizably silly. Forget the feedback thing — these are the most easily distracted creatures in cinematic history. It speaks to the movie's quality that you don't think about this while you're watching it. You're just too drawn in to the struggles of a family desperately trying to survive. But think about it: Literally all you have to do to escape these creatures is carry one of those novelty singing bass toys with you everywhere, and then hit the "on" switch and chuck it any time you're in danger. After that, you're a careful amble away from safety. 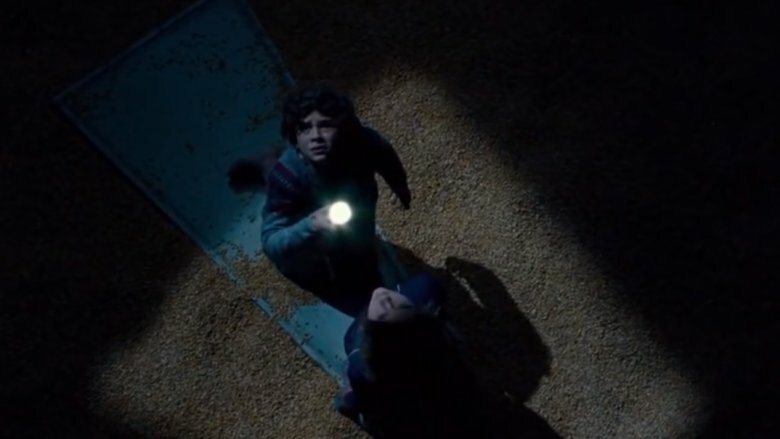 As beautiful as the movie is and as well executed as the scenes are, it's just hard to be afraid of a creature that you can get rid of by throwing a whistling Frisbee. There really aren't a lot of rules in A Quiet Place. The only one that springs to mind is "shut up." That's part of what makes it so great: the simplicity. No convoluted origin stories, no history on why the bad guys decided to enforce noise ordinances so stringently. Just the facts. If you make sound, you get squished. Which makes you wonder, how were the Abbotts successfully running a multi-acre corn farm? Farming, especially on such a large scale, is noisy, labor-intensive work. Sure, the planting is easy, if you don't mind working in complete silence and resisting the urge to shout expletives due to soul-shattering boredom, and if your hoe never hits a rock or something. Watering those fields would be a tricky situation, though. Even if you've never worked on a farm, you've likely seen the giant, hundred-foot-long irrigation systems they use. Those things are loud. They have to be. And that's to say nothing of the harvesting process. How is a family of four picking that much corn without the help of a very large, very loud machine? We know they're doing something. They have a silo full of corn, plus the plants are meticulously sown into rows a year and a half into the end of the world proceedings. Tough, but … you know, anything to survive. Alright, maybe the Abbotts didn't want to move out to the ocean. 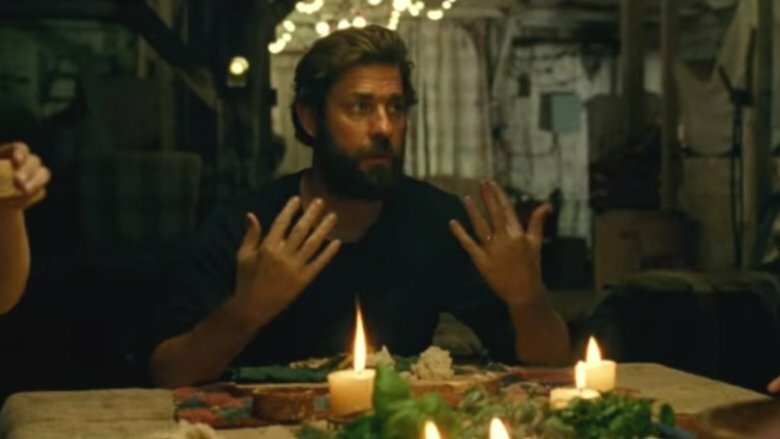 Maybe that was the family farm, or the ocean was too far away, or John Krasinski was afraid of sharks, or the parents were three kids in and desperately needed an excuse to keep the kids quiet. That's fine. We get it. Stay where you're comfortable. Just maybe soundproof, like, more of it? At this point, we've established that soundproofing mostly works. We've also ascertained that through some kind of magic, the Abbotts can move a metric ton of sand and half a Nebraska worth of corn without the aid of a loud truck or Amazon Prime three-day delivery. What these chumps needed to do was take that sound-muffling mattress idea and expand on it in a big way. There has to be a hardware store in town with enough insulating foam to get a good start. Or hell, just grab a bunch of mattresses. Go nuts on the mattress plan. Cover your house in mattresses like some bed-based Batman villain from the '60s. Come on, guys. Surviving the end of the world looks pretty easy.